Our Pro Riders were very satisfied by the performance level of the Kondor S during the execution of the K.L.H.P and of the Mega Loops. Thanks to its reinforcing light Dacron and its Zig Zag stitching, the Kondor S is stronger to hard impacts. 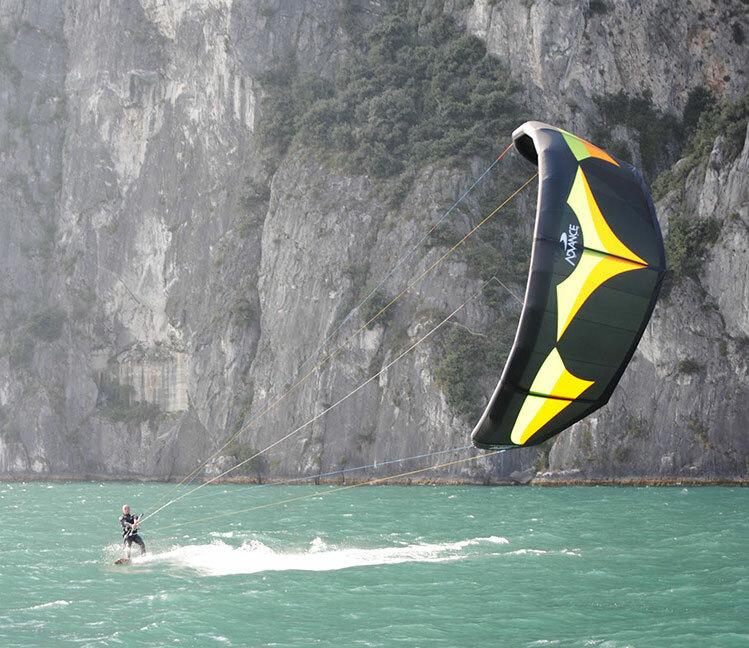 We think that the Advance Kites Kondor S is among the strongest and lightest kites on the market. Advance Kites Kondor S is a 4-cables kite equipped with a 5th line. We do think that the 5th line is still the best safety feature money can buy. As the 5th line is just a safety feature and not a structural line, the end user can decide freely if he/she wants to use it or not. The 5th line can be comfortable adjusted while riding.